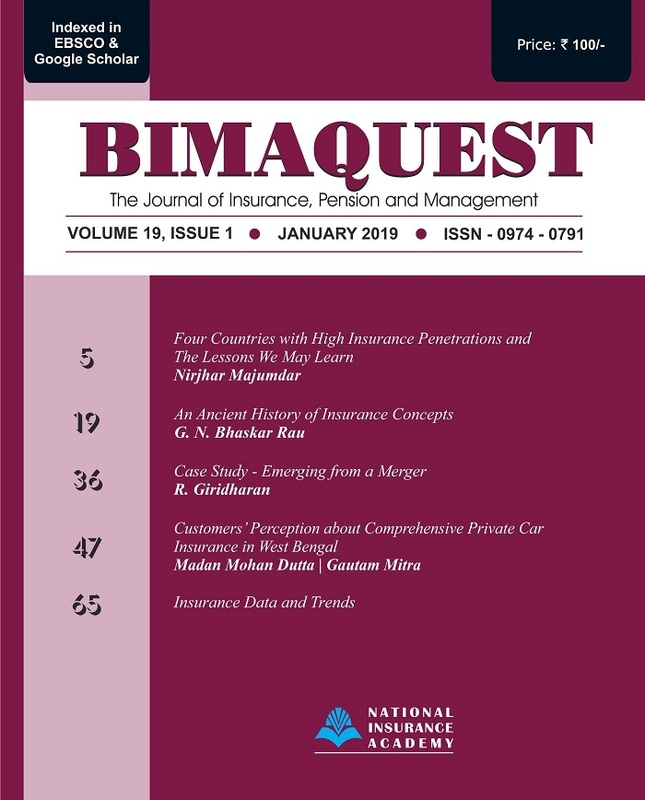 BimaQuest - The Journal of Insurance, Pension and Management (ISSN 0974-0791) is a publication of National Insurance Academy, Pune since 2001. It is published in the months of January, May and September every year. It is indexed in EBSCO database.